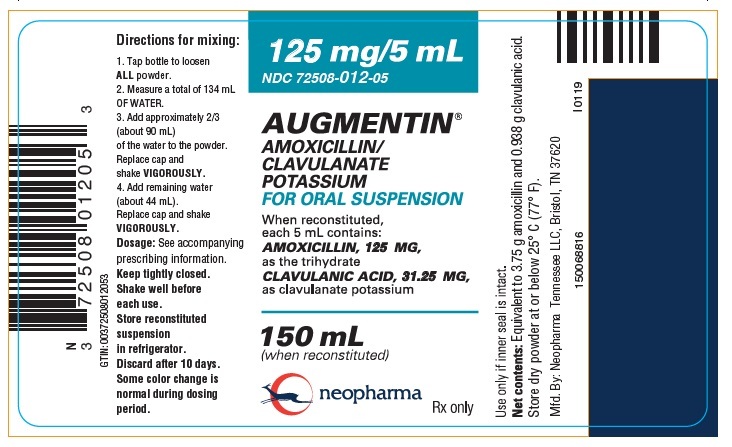 Augmentin with NDC 72508-004 is a a human prescription drug product labeled by Neopharma Inc. 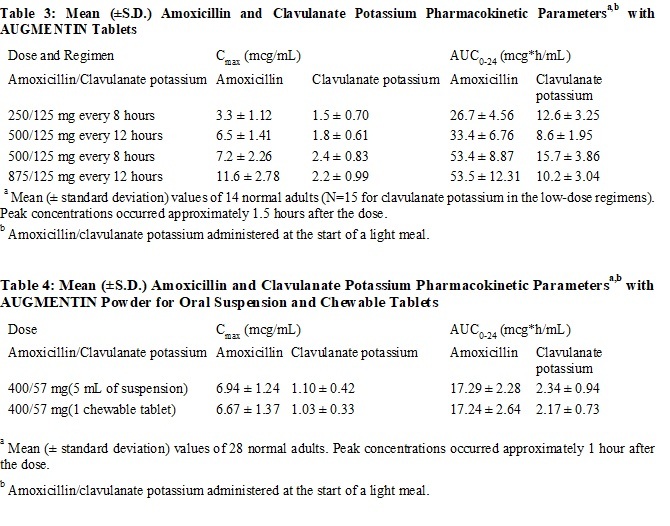 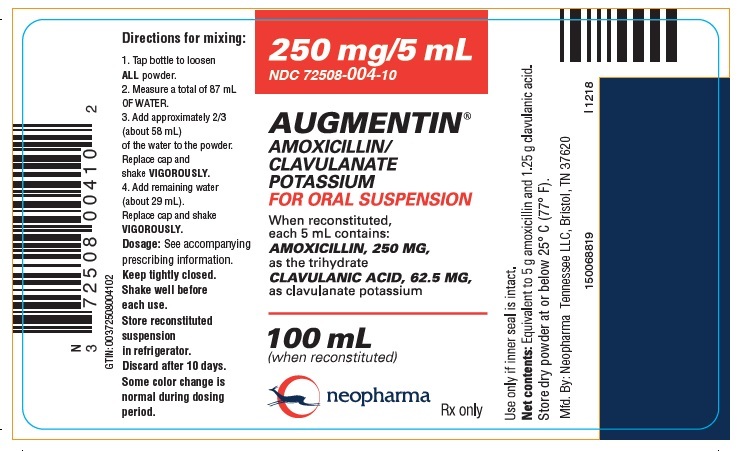 The generic name of Augmentin is amoxicillin and clavulanate potassium. 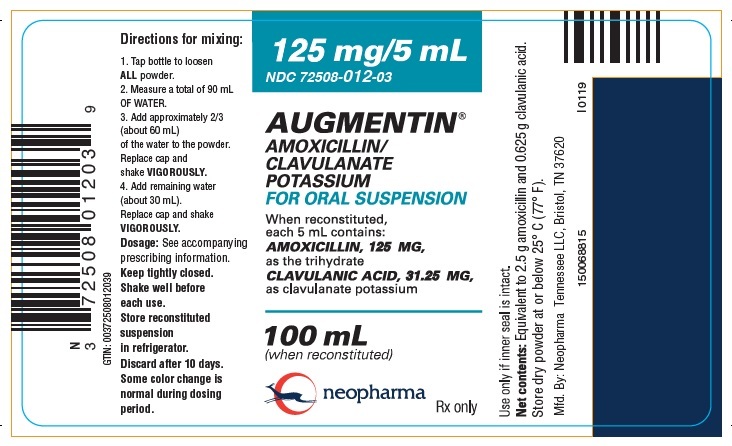 The product's dosage form is powder, for suspension and is administered via oral form. 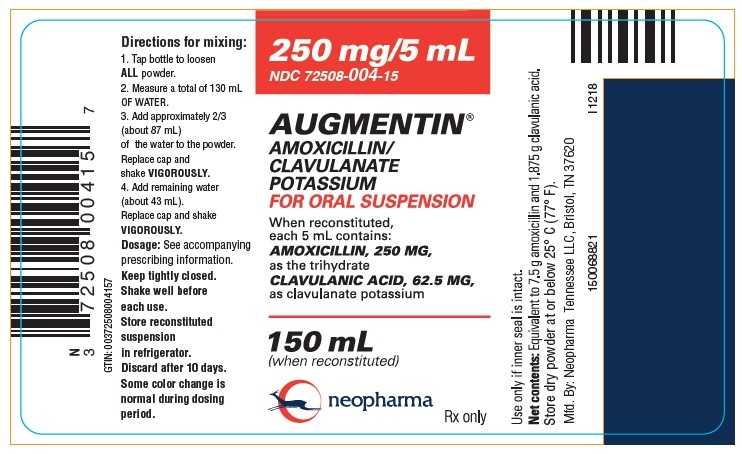 FDA Application Number: NDA050575 What is the FDA Application Number?